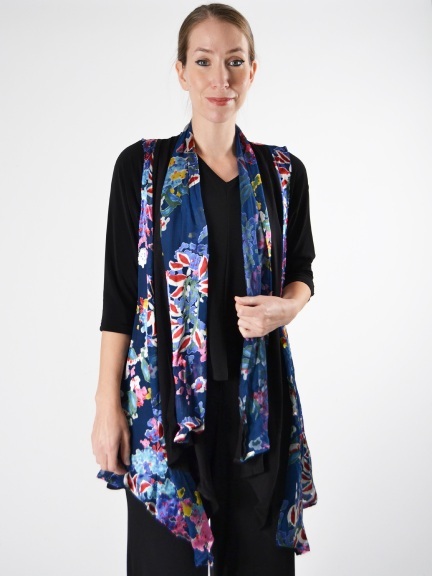 A lightweight, fluid floral burnout vest are interspersed with inset panels of black knit. High-low semi-flounced hemline. 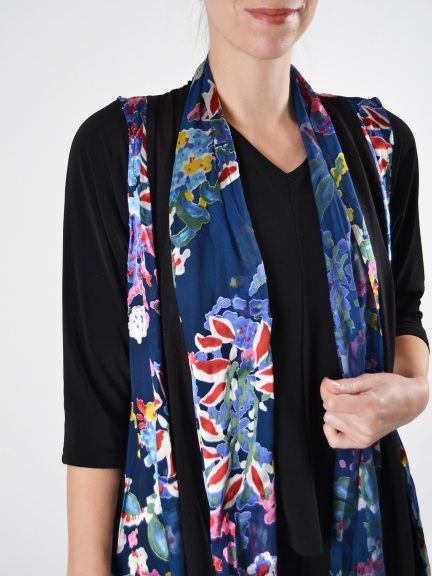 Vest features a rich color palette of goldenrod, Matisse blue, pinks, scarlet, green and white.